What happens when you take your Lotus to a garage that does not know what they are doing. 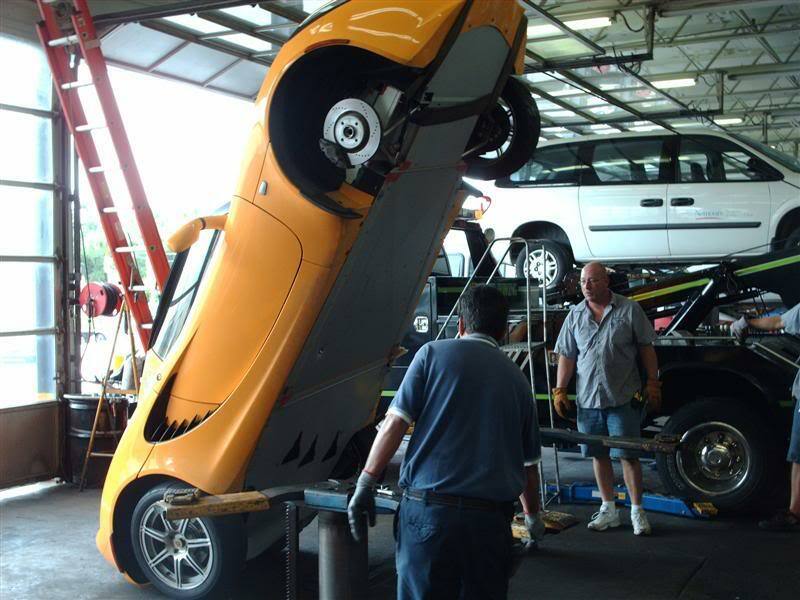 This is a picture of a Lotus Elise that was improperly raised on a lift, and flipped backwards. 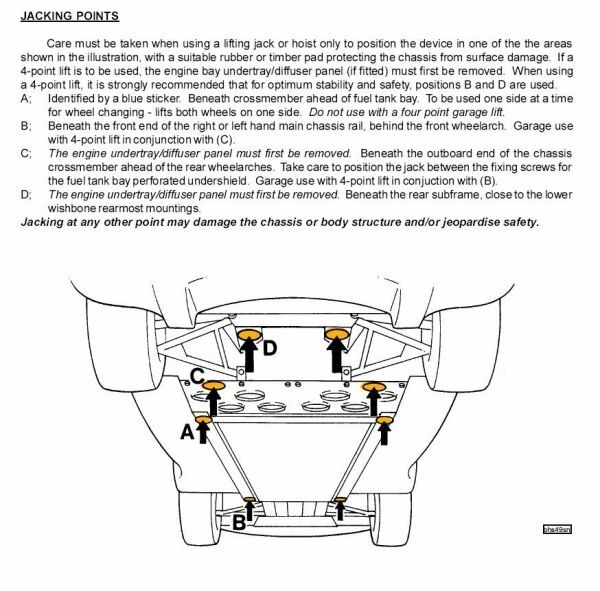 Make sure you follow the directions carefully on jacking points using the picture below. This will also prevent damaging your aluminum tub.